Yep, sad end of a legacy. Since Mr. Lacy doesn't fly any more, I guess it's time to find the next caretaker for this piece of history. It will be interesting to see if the next owner keeps it in its civil scheme....or become another warbird with an assumed identity. 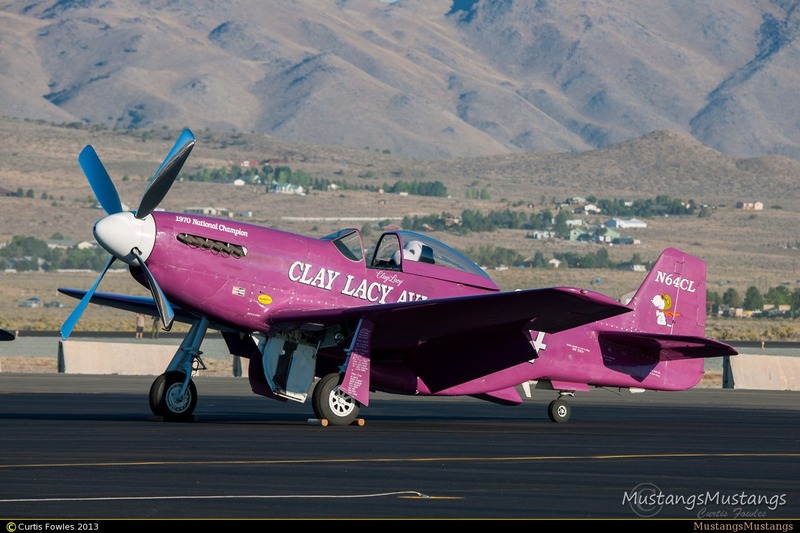 Back when Lacy first had the Mustang, few had military paint schemes (or if they did they were inauthentic), today it's rare to see a civil scheme. I met Lacy a few years ago, seemed a nice guy. I hope he gets around to doing a biography. In case you don't know, his flying time is among the highest off any pilot in the world. An offer of $2M and its yours!. 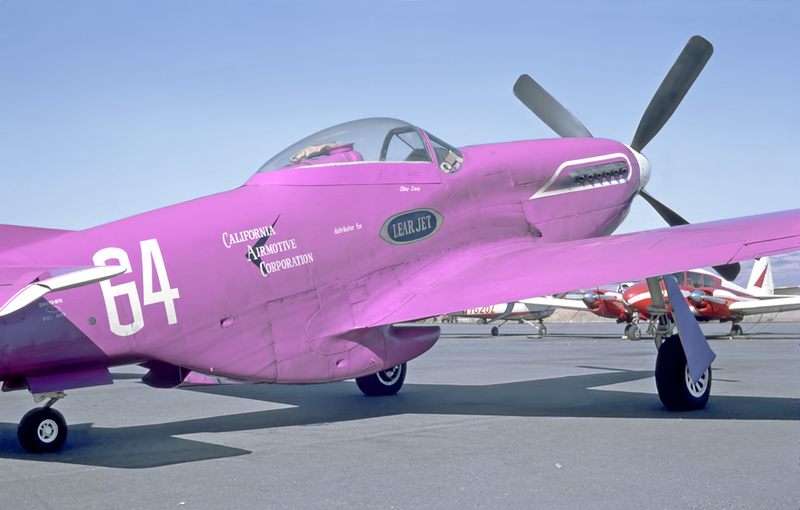 I'm hoping that sledge might have a picture of the "Banzai Mustang" paint version? I have my own RC version! 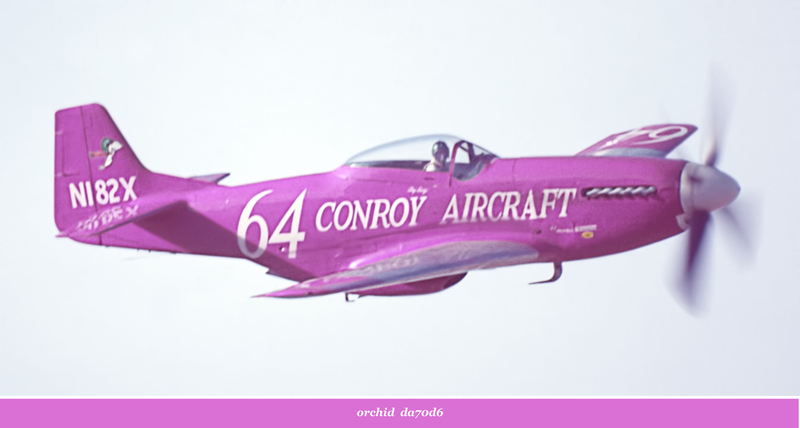 I saw her in real life when I was a kid at the Cape May NJ air races, I think she finished second. ... is it "Banzai" or "Bonzai" ? Did Clay enter the cross country race in 1964? The reason I ask is that big tank (looks like, anyway) behind the pilot's seat in these great photos. I don't think either spray bars or ADI were common at that point so a tank would seemingly have to be for fuel. Awesome! Thanks for the picture. It'll be interesting to see where it goes and what they do with it. A lot depends on if the buyer likes or dislikes the color chartreuse or whatever it is. It's cool for a few reasones, 1) It's a classic civvy scheme, 2) It has the race numbers, 3) It is reminiscent of Hoover's all yellow Mustangs and Clay Is famous in his own right. FYI, chartreuse is a green/yellow blend...had a pair of dayglo socks that color in grammar school in the 60's. 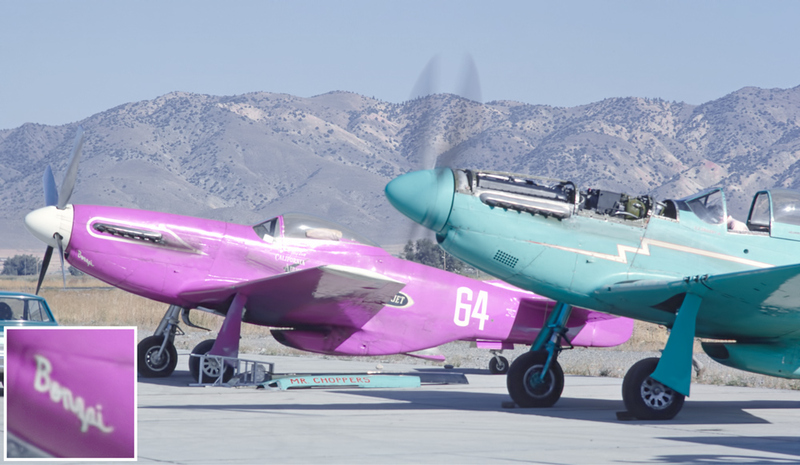 As noted in Sledge's photo, Snoopy is Orchid, #da70d6 in the RGB color model...more commonly referred to as a "fuchsia" shade.